truly luxurious experience, sprinkle a few flower heads into the bath. * Epsom salts (magnesium sulphate) have been used for their therapeutic effect on aching joints and muscles for over a century. 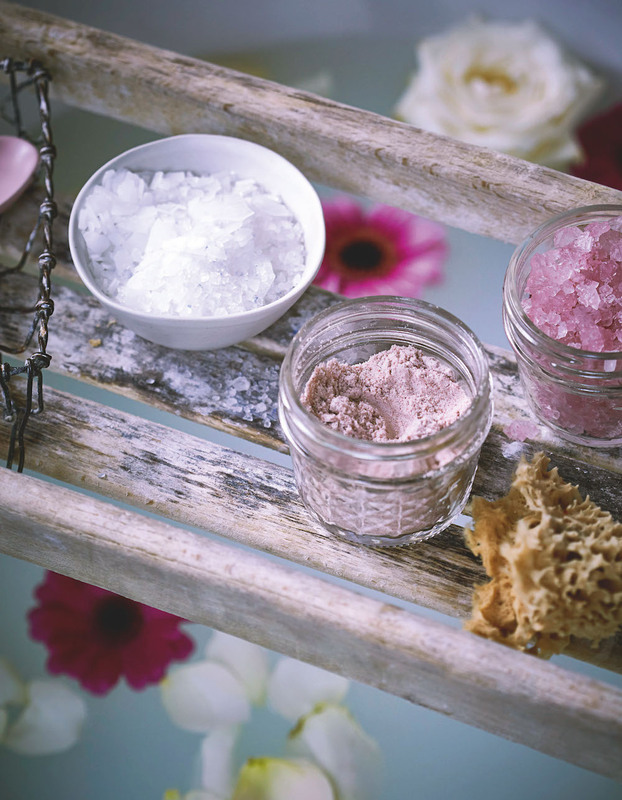 Used with potassium- and iodine- rich sea salt, these minerals are absorbed directly into the skin and will also help soothe dermatitis and any inflammation. Avoid using if pregnant. From The Art of the Natural Home by Rebecca Sullivan (Kyle Books).